ATTENTION TEXAS ANIMAL RESCUE GROUPS!!! A version of the Companion Animal Rescue Act may be filed in Texas this session. (2) a qualified adopter is willing to adopt it. One of the things that opponents of the bill (i.e. kill shelters and their supporters) have said is that shelters NEVER turn down qualified rescue groups in Texas. I know, for a fact, that this is a lie. I have seen this happen dozens and dozens of times over the last few years. In fact, I have written about this very thing many times here. I know that any dog that remotely looks like a Pit Bull is particularly vulnerable as they are many times denied adoption, and killed more often, simply because of the way they look. The Houston SPCA, Houston Humane Society and Harris County animal control all have policies to NOT adopt out dogs that “look” like Pit Bulls or Pit mixes. The “shelters” choose to kill them all instead. Also, I know that the kill shelters are lying to legislators because BARC (Houston’s animal control), killed animals that I, myself, offered to save. I placed Holds on animals because I had found homes for them, but BARC killed them before I could travel there to get them. I was told that BARC employees did not bother to check the computer for Holds before killing animals. 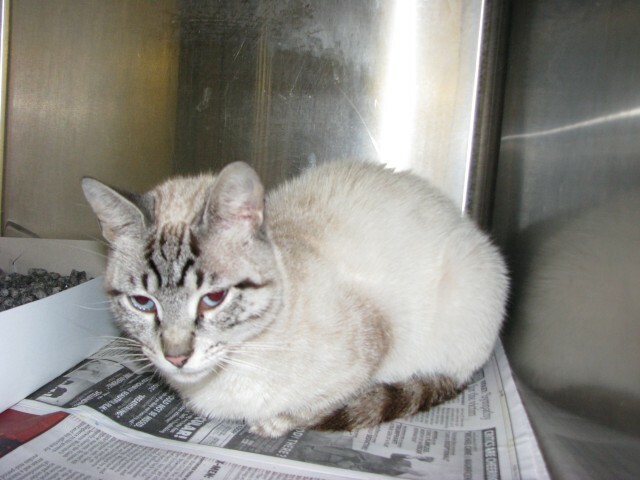 A sweet, healthy cat killed by BARC even though I had found a home for her and placed a “Hold” on her. Also, a kitten that I had put on Hold somehow “vanished” from BARC before I could return for her. I was told that BARC “could not find her”. This was just a day or two after I took the below picture of her. I have since learned that “cannot find” usually means “already killed”. A sweet, healthy kitten allegedly “lost” by BARC even though I found a home for her and placed her on “Hold”. 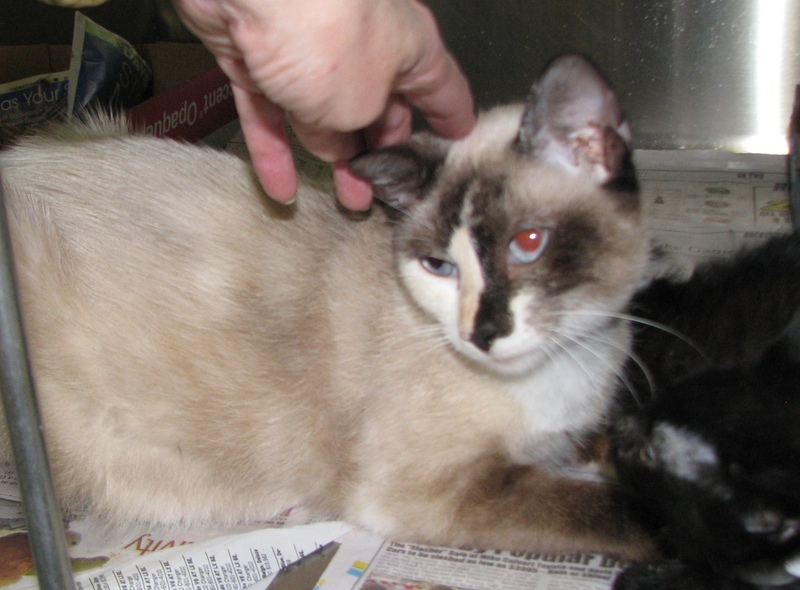 I was told that a third cat, an adult Tortie Point Siamese, that I had also placed on Hold, could not be found in her kennel either. 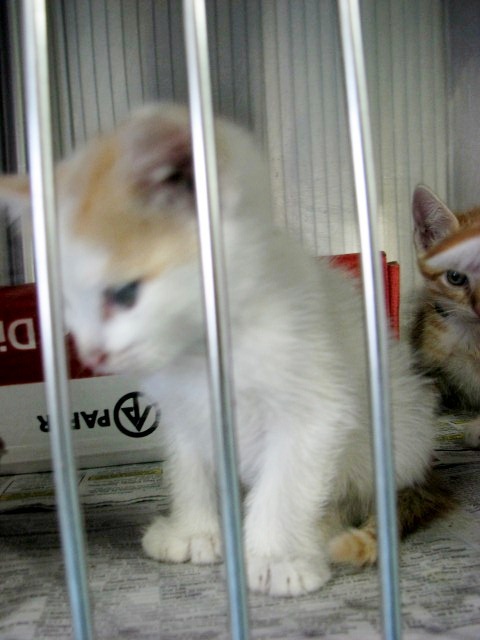 Luckily, dedicated volunteers were at BARC that day and searched the facility for the cat. She was located sitting in a kennel outside of the Kill Room, next in line to be killed. On top of her kennel was the kennel card for a 6 week old, solid black kitten. So, not only did the shelter employees not bother to check the computer for Holds, they couldn’t even be bothered to verify that they had the correct animal. Although, I had found a home for this cat, and placed a Hold on her, she was found in a kennel outside of the Kill Room with the kennel card of a 6 week old, solid black kitten. Shelter employees didn’t even bother to verify that they had the correct kennel card and animal before carting her off to the kill room. RESCUE GROUPS, your input is needed to help get this bill passed to make these actions illegal. It is vital that legislators hear from you so that they know how often animals are killed that we have offered to save. I know you have war stories just like I do. If this has happened to you, or someone you know, please contact Ryan Clinton ASAP at Ryan@FixAustin.org. You can also contact him through his Facebook page. Time is of the essence, as there is only a short window of time to convince legislators to file this bill. If it is not filed within the next few months, it will be 2 more years before anyone can try again. I realize that some rescuers are afraid of speaking publically about their experiences for fear of being banned by those kill shelters so, at your request, your identifying information will be kept confidential. Thank you for standing up for the animals. Tweeted and shared on my FB advocacy page.